If you have already reached rank 5 in Hearthstone, you should have already realized that playing on a high level differs heavily from playing on lower ranks. Players tend to using strongest cards for their decks to get to the top of Hearthstone ladder. New strategies targeted at tricking the opponent are constantly being developed by high-level players who want to win no matter what. Since strategies are being changed constantly, some players do not have time to follow the innovations. Because of that we offer you a service that allows you to understand how to make a viable up-to-date strong deck. Our coaches play at the very high-end Legend ladders and constantly play tournaments, so they have most valuable information about current meta in Legend gameplay. What will I learn if I order “ Assembling your deck and optimal strategy for playing on High ranks” package? When you order “Assembling your deck and optimal strategy for playing on High ranks” package, you will be taught general understanding of the game at higher ranks where every mistake can lead you to a defeat. You’ll gear clear directions about creating a deck that suits your playstyle and how to play it afterwards. You’ll lern which cards you need and what you need to do to get them. Majority of meta decks contain cards which are rewards for Expansions, so be ready to purchase them. If you would have problems with completing the expansions, you can order it from us as an extra option and we’ll help you get the needed cards as well as answer all questions that you have. When you purchase this additional option you should have corresponding expansion available on your account. Service of completing any expansion is executed in Normal difficulty mode. Heroic mode execution should be paid for separately. When you order this option, please message our manager with the name of the expansion that should be done. To complete 1 expansion we will need 4 hours and access to your account. Understanding of core mechanics of the game and experience of playing on Rank 7-5. 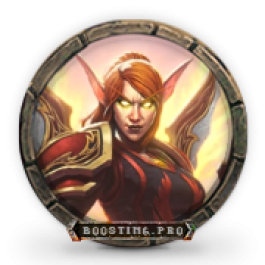 With the help of our service you can change a pestered Uther Lightbringer’s portrait to wonderful Lady Liadrin. 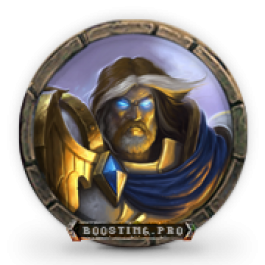 We’ll just need several hours and a new animated Paladin portrait will hit your deck of Hearthstone hero portraits! 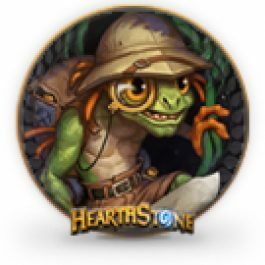 We will help you to complete a grand expedition as a part of Hearthstone’s League of Explorers. You will receive unique cards which cannot be crafted and a card back. You can order either a boost for one wing or for the whole expansion.